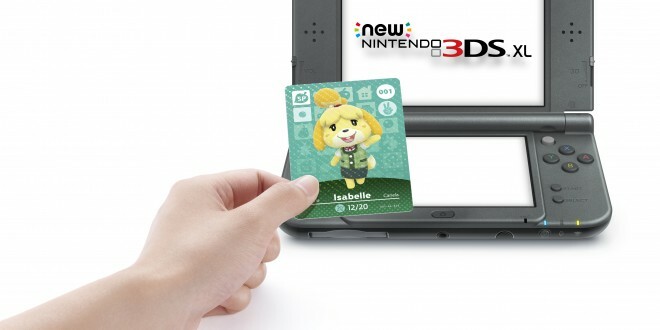 Home » 3DS » Are Amiibo Cards the Future of Amiibo? Are Amiibo Cards the Future of Amiibo? Not too long ago, Nintendo announced that they have shipped around 10.5 million Amiibo since their launch late last year. However, we’re all aware of the issues surrounding the availability of Amiibo figures. Some figures are damn near impossible to find, and even if you can find one for sale, it’s probably from a scalper who’s going to charge you way more than the figure is actually worth. 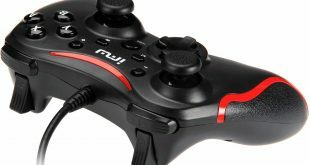 Nintendo has been trying to figure out a solution for quite a while now, but there hasn’t been a resolution. Rare Amiibo figures are supposed to be restocked “soon,” but we’ve seen this kind of promise before, only to find a handful of figures being distributed almost randomly among retailers. 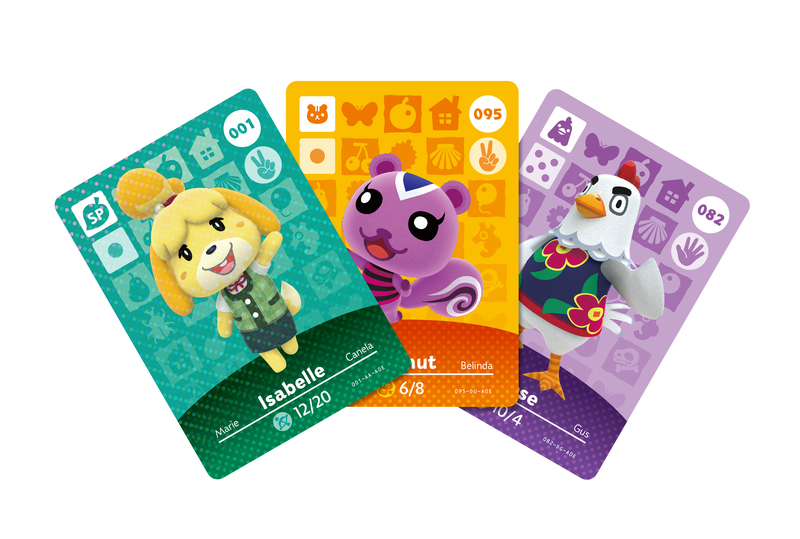 There might be something new on the horizon though – alongside Animal Crossing: Happy Home Designer (you can read our review here), Nintendo launched Amiibo Cards. Is this the future of Amiibo, or is this simply an addition to a game that has an Amiibo functionality so vast that manufacturing figures was out of the question? If you pick up a physical copy of Happy Home Designer, you’ll get one special NPC card packed in with your game. I got the digital version for my review, so when the game launched I set out to pick up two packs of Amiibo Cards. They currently retail for an average price of $5.99 (though Toys “R” Us is selling them for $6.99 at the time of writing). Each pack comes with a collection of completely random cards. Five of these cards will be citizens – this means that they’re characters you probably won’t recognize. These are the characters that randomly appear in your towns when you’re playing core Animal Crossing games. You’ll also get one NPC card – these are iconic Animal Crossing characters. Series One includes: Isabelle, Tom Nook, DJ KK, Sable, Kapp’n, Resetti, Joan, Timmy, Digby, Pascal, Harriet, Crazy Redd, Saharah, Luna, Tortimer, Lyle, and Lottie. 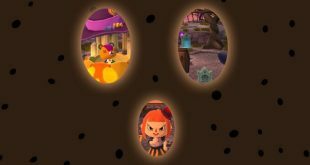 That’s a total of seventeen characters that Animal Crossing fans are actually going to want. Here’s the problem: You get one NPC card with your game (assuming you grabbed a physical copy). Then, you’ll get one in each pack of Amiibo Cards you buy. However, since there are only seventeen NPC cards, there’s a high possibility of getting repeat cards. Your best case scenario is this: you get one NPC card with your game, and then buy sixteen packs of Amiibo Cards at $5.99 a piece to collect the others. You’re lucky, so you don’t get any repeats and you now have the whole collection – hooray! However, you also just spent $95.84 (before tax). 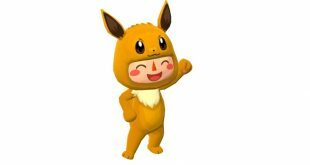 That’s almost $100 for core Animal Crossing characters that, if you’re like me, feel should have been included in the base game. Also, that’s assuming that you have a New Nintendo 3DS XL. If you don’t, you’ll be shelling out $19.99 for the Nintendo 3DS NPC reader (or you’ll pay $10 extra with your copy of the game to get the game bundled with the reader). Including the seventeen NPC cards, there are an additional 83 citizen cards to collect. If you want to collect every single one, I can guarantee you that you’ll be spending much more than $100. This is just Series One, too – there are a grand total of 204 Amiibo Cards currently planned to be released for use with Happy Home Designer. Even if you never got a duplicate, that’s $203.66 (before tax). I’m using Happy Home Designer as the main example for the Amiibo Card situation because it’s currently the only game that actually uses them. As you can tell by the paragraph above (and the section regarding Amiibo Cards in my review), this use of the cards isn’t exactly exciting. If I could choose which cards I want to buy and purchase them that way, then I’d be very satisfied. However, I understand that this goes against the trading card element that Nintendo is trying to create here. The thing is, though, that trading has never really been a big thing amongst Amiibo collectors. Let’s say that every single existing Amiibo is given an Amiibo Card that can be purchased on its own or with a collection of other cards that you select yourself. It’s a pretty good deal, right? Availability would be much higher, and all players who are interested in Amiibo functionality would be able to access the extra content in Nintendo games in a way that’s not insanely frustrating and expensive. Then again, a big part of Amiibo is the detailed beauty of the figures themselves. Sure, the Amiibo Cards are cool, but they’re not as awesome as the fully realized figures. Converting to a card system would bring the collectibility of Amiibo down sharply. I’m not an expert in manufacturing or selling collectibles, so I’m not sure what to make of Nintendo’s current Amiibo problem. I personally love my Amiibo figures, and I’m a fan of my NPC Amiibo Cards, too. 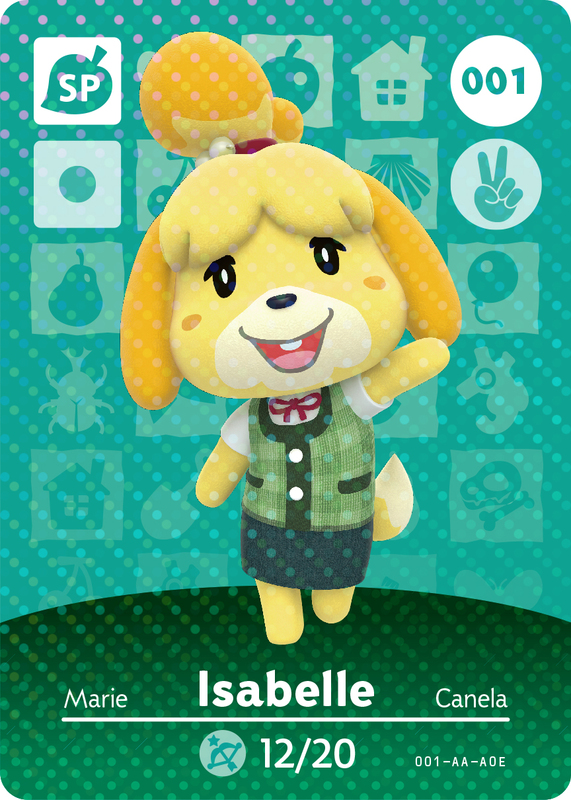 However, I think I’m much more likely to pick up the Isabelle Amiibo figure than to keep blindly buying packs of Amiibo Cards and hoping to eventually get the Isabelle card. At the end of the day, spending $12.99 on an Amiibo that you want seems like a better deal than potentially spending over $50 for the possibility of getting the character you want and ending up with a lot of cards that you don’t. Could Amiibo Cards help with the shortage of figures? Definitely. It shouldn’t replace the figures themselves, though. I’m excited to see what Nintendo will do next, and I hope that they can find a happy balance between Amiibo figures and Amiibo Cards that will make both collectors and casual players happy.